Home News Why to Choose Cyprus? What is the reason why so many thousands of businessmen, businesswomen and reputable companies situated worldwide have chosen Cyprus for the purpose of establishing an International Business Company? Cyprus, unlike many other jurisdictions, is not a “tax haven” and does not offer “brass plate” companies. Instead, Cyprus offers great tax incentives due to its favorable tax regime and its wide network of double tax treaties. These tax incentives together with so many other incentives offered by Cyprus, render Cyprus a unique international business center, probably the most advantageous one to be found worldwide! The capital of Cyprus is Nicosia. Limassol is the second largest city and the island’s biggest port. Other main towns are Paphos, Larnaca, Famagusta and Kyrenia (Note: As at present Famagusta and Kyrenia are occupied by the Turkish Armed Forces). The island’s time zone is 7 hours ahead from New York and 7 hours behind Tokyo. 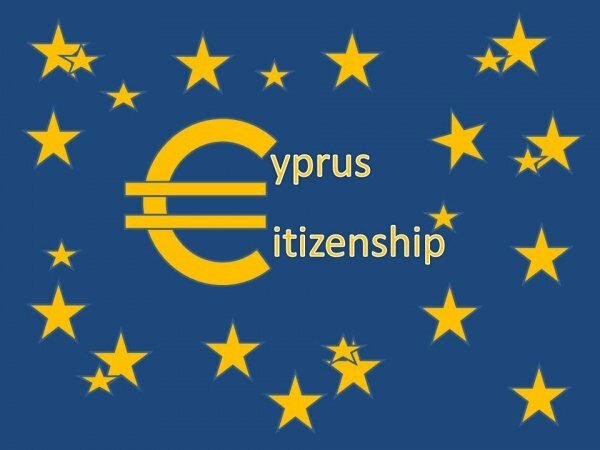 Cyprus is a member of the European Union (and adopted the Euro currency), the United Nations and it’s specialized agencies, the Council of Europe and the Commonwealth. Due to favorable government policy and fiscal legislation offering advantages and incentives, Cyprus has developed into an important international business center, whilst at the same time, it continues to enjoy a steady pace of general economic growth. Latest international evaluations confirm the overall positive economic and investment climate prevailing in the country and the increasing confidence which foreign investors, in general, bestow on it. A Cyprus IBC is a company limited by shares which have been registered in Cyprus, whose issued share capital is held directly or indirectly by residents or non-residents of Cyprus, and whose business is carried on mainly outside Cyprus. The registered share capital of the company may be in the name of natural or legal persons. The company once incorporated has a separate legal personality and as such is considered as a separate legal entity. a) Resident companies pay the lowest taxation in Europe (10%) on their taxable net profits (some activities suffer 0% tax) and at the same time has acquired the European “stamp of respectability”. h) Re-organisations, mergers, de-mergers, exchange of shares, transfers of shares transfer of assets are made without any taxation. i) No capital gains or income tax on the liquidation of participations or the liquidation of the Cypriot Holding Company itself. A holding company can be the parent of a number of international business companies registered in Cyprus or companies registered abroad. This is of particular interest where a number of investors are participating in international Cyprus companies, or where companies registered abroad wish to control and direct their investments through a holding company. Such companies are often used advantageously in conjunction with the Cyprus double tax treaties. a) There is no tax (0%) on profits from the sale of debentures, founder’s shares and other titles of companies or other titles and options thereon. b) There is no corporation tax (0%) on dividends received from resident or non-resident companies. There is no Special Defense Contribution on dividends received from a non-resident company (under certain conditions). Any owner, charterer or ship manager who owns, charters or manages a qualifying ship in a qualifying shipping activity pays no income tax and instead pays a small annual tonnage tax which is calculated on the net tonnage of the ship according to a broad range of bands and rates prescribed in the “Merchant Shipping (Fees and Taxing provision) Law” enacted in May, 2010 (non-qualifying ship owners or non-qualifying ship Managers pay income tax of 10% on their annual taxable profits). Qualifying shipping activities include any commercial business or activity which constitutes maritime transport, crew management or technical management of qualifying vessels. Maritime transport, by definition, is limited to the carriage of goods and passengers, and includes ancillary services, including but not limited to hotel and catering services, entertainment activities, on board retail activities exercised on a qualifying vessel, and so forth. Activities such as towage, dredging and underwater wiring are also included. Further to the above, all qualifying parties under the Cypriot Tonnage Tax Scheme may also enjoy an income tax exemption on dividend income and interest income deriving from qualifying shipping activities, as well as from gains deriving from the alienation of ships. a) Based on an annual tonnage tax instead of ordinary corporate tax. The tax is charged on the basis of the net tonnage of the vessels. b) Owners of Cyprus ships are automatically taxed with tonnage tax. c) Shipowners or charterers or shipmanagers participating in the tonnage tax system are also exempted from income tax or any other tax or levy on dividends paid to shareholders, on interest earned on working capital and on any profit made from the sale of a qualifying ship. d) Eligible owners of foreign ships, charterers and shipmanagers have the option to decide whether they should be subject to tonnage tax or not and their decision will be effective for 10 years. e) Only qualifying ships employed in international maritime transport and shipmanagement activities can be included in the tonnage tax system. Other activities eligible for tonnage tax include towage and dredging activities as well as cable – laying activities. f) Innovative provisions of the scheme regarding the taxation of shipmanagers. Shipmanagers providing crew management services and/or technical management services are eligible for tonnage tax. g) Tax exemption on the wages or other benefits derived from the employment of the master, the officers and the crew members of a Cyprus ship. a) No tax on income derived from the operation of a Cyprus registered vessel. b) No tax on dividends paid to shareholders of a Cyprus registered vessel out of profits made from the operation or from the sale of the ship. c) No tax on interest earned on working capital of a Cyprus registered vessel. d) No tax on the income or profit made from the sale of a Cyprus registered vessel. f) Competitive ship registration costs and fees. g) Favourable tonnage tax scheme approved by the EU. h) No estate duty on the inheritance of shares in a shipowning company. i) Full protection for financiers and mortgagees. j) No stamp duty on ship mortgage deeds or other security documents. Finance companies are established with the main object of providing loans in countries with which Cyprus has concluded double tax treaties, or in countries where there is low or no withholding tax or interest. Such companies are used for the re-invoicing of materials, goods and services from any country to any destination. 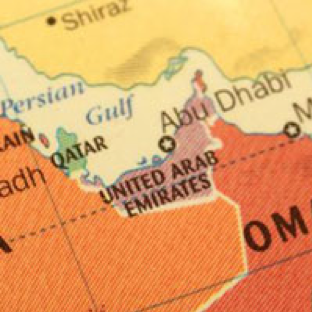 These companies are usually operated by setting up an office in Cyprus and appointing an expatriate or local manager to co-ordinate, negotiate and conclude purchasing contracts. Trading and re-invoicing companies may also be used for depot and transit trade activities through the use of a bonded warehouse. Employment companies are established with the main object of providing or recruiting labour for contract or other work carried on outside Cyprus. This is most advantageous to nationals of countries whose tax laws provide that, whenever tax is paid in another county, their salary income can be remitted to their home countries with no or little additional tax. Such companies are particularly attractive to Dutch, Belgian, Australian, Austrian and French nationals employed outside their own countries. The expatriate employees, if employed outside Cyprus for an aggregate period exceeding 183 days per calendar year, are not subject to Cyprus tax. Other types of international business companies include headquarter companies, trust management companies, service and consultancy companies, printing and publishing companies, royalty companies, international business captive insurance companies, construction and engineering companies etc.